I love Mexican food, especially pico de gallo or chunky salsa. 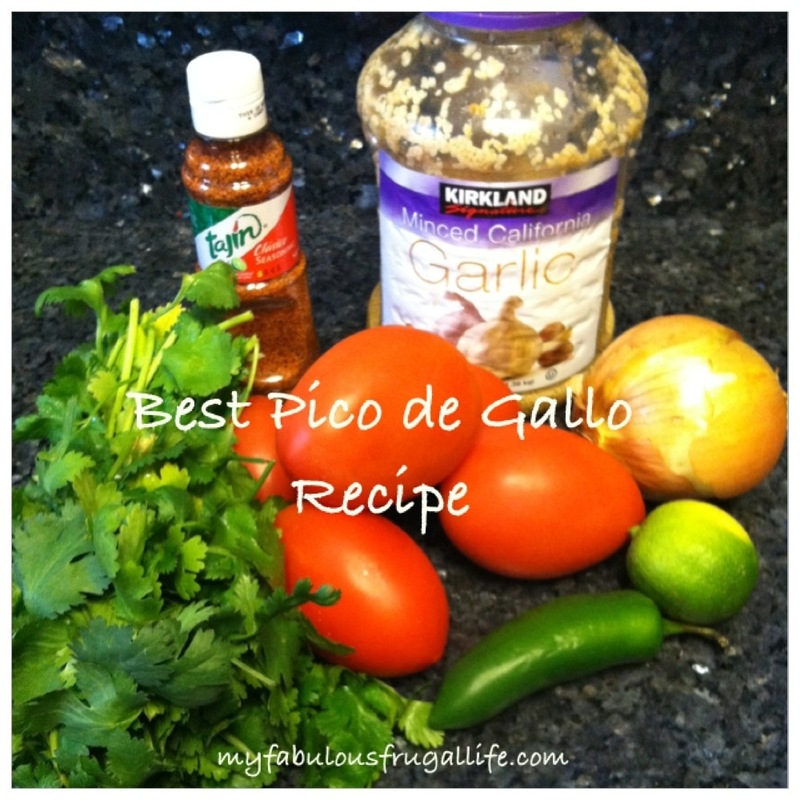 This is the easiest and best pico de gallo recipe you will find that is fresh, frugal, and delicious! I use a lemon squeezer to get all of the juice out of the lime! My dogs are admiring my cooking skills through the back door! 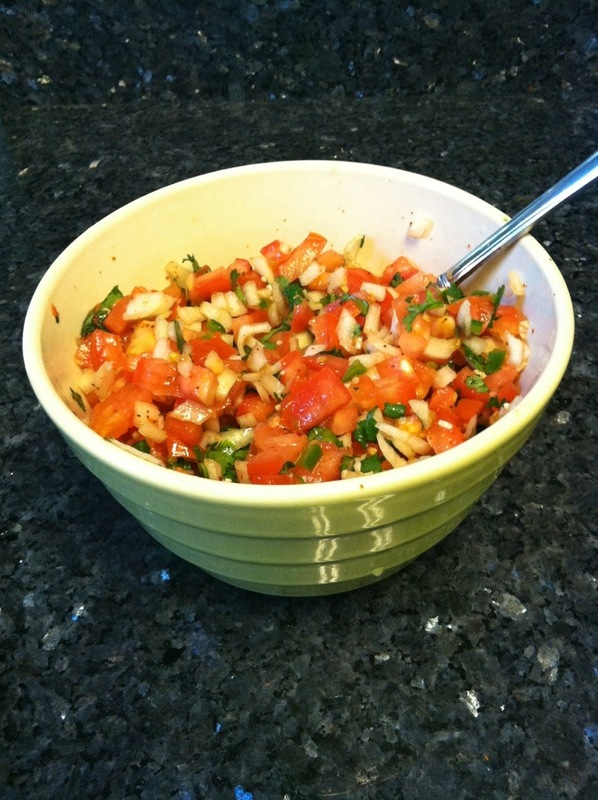 Directions: Chop and dice tomatoes, onion, cilantro, and jalapeño put into a bowl. Add garlic and Tajin, then squeeze the juice of 1 lime on top of the mixture. 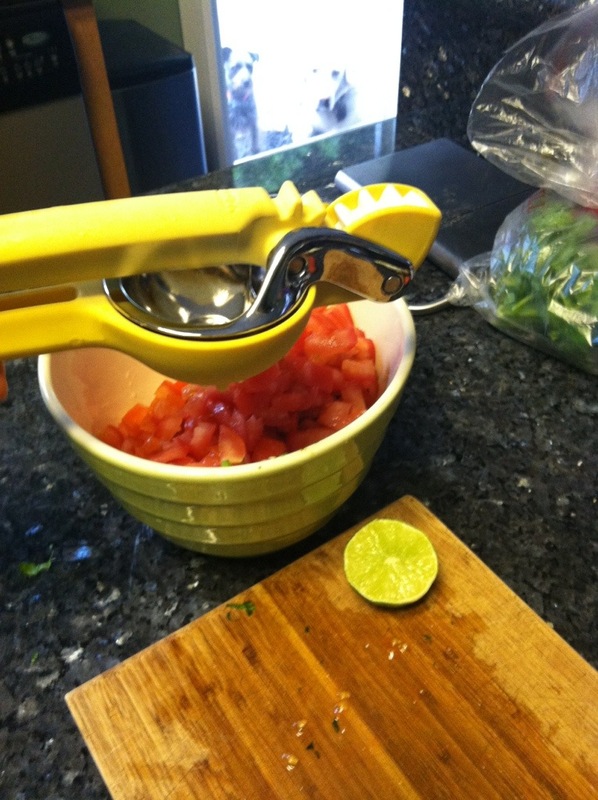 I love using my lemon squeezer, it is an awesome tool to have in the kitchen. If you don’t have a lemon or lime squeezer don’t worry. A tip my mom taught me is to put the whole lime in the microwave for about 10 seconds, carefully cut in half and then squeeze. When it is slightly heated up, all the juice comes out! Then stir together and enjoy! This pico de gallo is great with chips, or added to mashed avocados for a chunky guacamole, I put it on grilled fish, chicken, or tacos. Give this fabulous and frugal recipe a try, it is so good and easy! Try it with any or all of my recipes listed below.